When they work with existing buildings, designers have to deal with all kinds of constraints and, although these issues can give them quite a few headaches, in the end, they are also very stimulating for creativity. 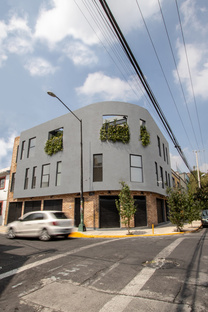 An example of this is located in Mexico City, where Eduardo Gorozpe's firm, A-001 Taller de Arquitectura has completed a project that redevelops a building in a prominent position on a crossroads, at the same time providing new living spaces for eight families. 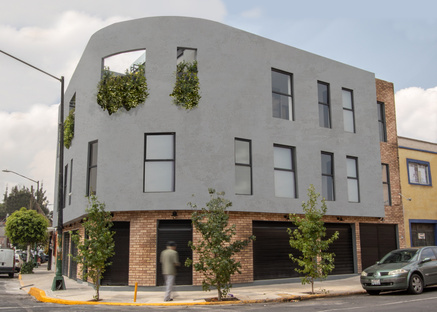 A-001 Taller de Arquitectura has worked in a neighbourhood with great potential for social housing development as a key element in the process of revitalising the area. The first thing the architects did was strip back all the layers and elements that had been tacked on over the years. This was also because the building was in an advanced state of disrepair. They then analysed and classified the construction’s overall condition so they could decide what to keep and what to reject. It was all done to meet the new, contemporary aesthetic of housing on the one hand, and on the other to optimise the liveable area, at the same time ensuring that the dimensions were adequate and comfortable. 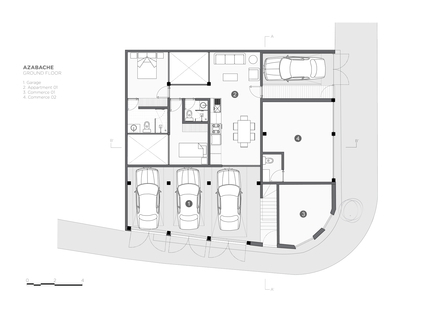 Because all too often the size of social housing leaves little room for living space that occupants can really use. 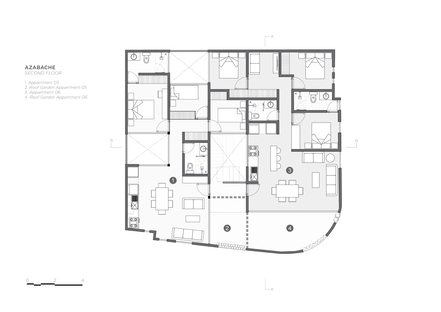 What A-001 Taller de Arquitectura did was to craft eight apartments, giving priority to their intention to respect and makes the most of the spaces considered important for the construction, like the central courtyard, a key element for articulating the spaces of the architectural programme. 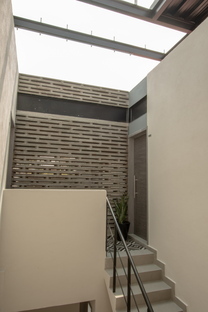 Keeping the courtyard also meant bringing a sense of community to the inhabitants, alluding to the traditional Mexican social housing known as vecindad. Vecindad is a Latin American term that literally means neighbourhood and is used to describe a building that contains a number of apartments (often for low-income residents). 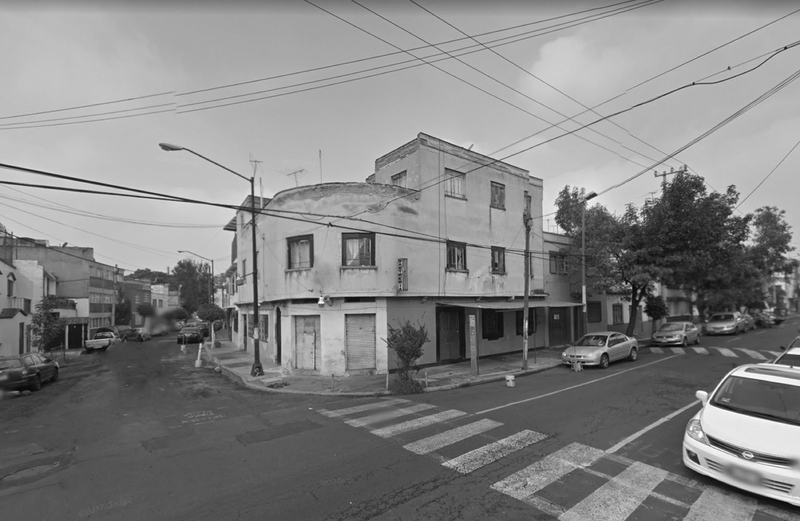 Originally it was a form of housing created by subdividing homes of the rich that were left vacant in the old towns of Mexican cities; the rooms were organised around an interior courtyard - the centralised common space - and let to families. 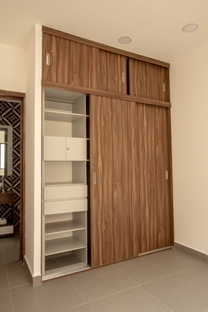 The tenants shared areas like bathrooms and laundries in addition to the cooking facilities. New generation vecindades were constructed in the early 20th century to meet the demand for low-income housing and resembled the original vecindades. Given the background of this type of building, the architects here decided to repurpose the potential of the original materials on the ground floor by stripping back the walls and exposing the clay bricks. On the upper levels, a ventilated facade system was incorporated into the upper levels, made from light materials and using technology to contribute to the building's thermal comfort. Inside, the chromatic detailing on the flooring and the raw materials like bricks and concrete give the whole space character, simplicity and durability. Which all adds up to a serene, dignified atmosphere.